Nova Launcher, our long time favorite home-screen app for Android, has been updated to version 5.1 in the beta channel, and it brings in a superb feature. The update adds Dynamic App Badges, to each app icon on your homescreen and dock. The new feature comes at a catch, in that it is not a static badge. That is, it gets the badge icon from the notification panel, from other apps. So if you dismiss a notification or clear the notification shade completely, the badges vanish. This also works with regular apps, such as music apps where it will display the album art instead of a contact picture, or app icons from the Play Store. Go to Nova Settings > Notification Badges > Badge Type > Dynamic. If you want to stick with numeric counts, you can still use TeslaUnread for that. 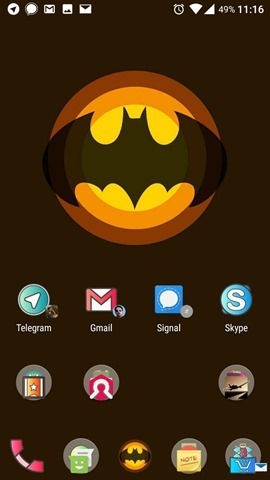 Dynamic App Badges requires a device running on Android 4.3 or above. Download Nova Launcher 5.1 (currently at beta 2), from the Google Play Store, by opting in to the beta channel.